The goats especially love the warm weather. You can see Ronan relaxing above, sunbathing on the roof of his goat home.Sadly, Ginko fractured his leg, but he has made an excellent recovery. We're continuing to spend a lot of time helping wounded and abandoned birds. Our rescued ducklings have grown up, and we have three tiny orphaned pheasants, who are thriving in one of the caretaker spaces. Already they are flying around the house. We rescued two injured pigeons from an abandoned building and both are doing well. As an interim measure we are constructing an aviary for them while we finalise our plans for a predator-free paddock (see below). We are running our third annual street appeal on Friday 21st December between 7am and 7pm. If you are in Wellington and are keen to be involved, please get in contact with our appeal coordinator Clare Gillard at gillardgirl@gmail.com. 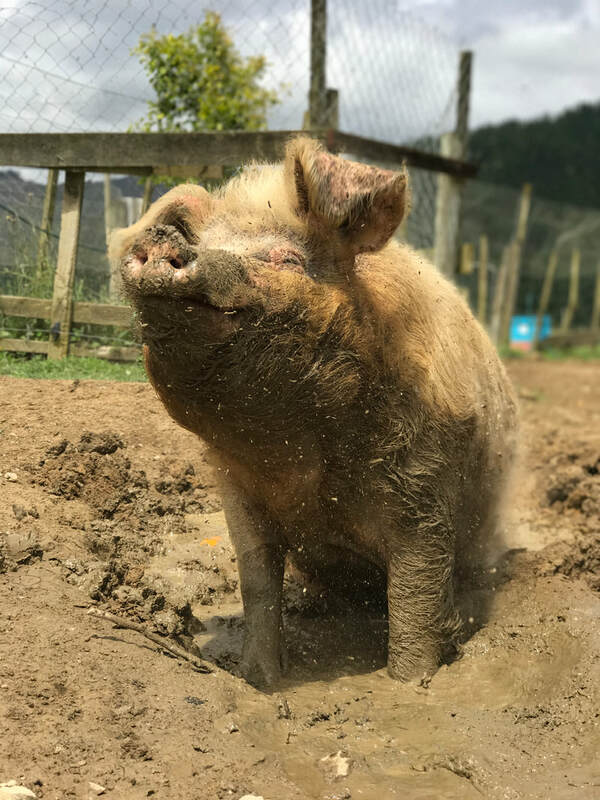 For people outside of Wellington who wish to help, we have also set up an online fundraiser, running parallel to the street appeal: https://givealittle.co.nz/cause/black-sheep-animal-sanctuary-street-appeal We'd be so grateful If you are able to pass this on to anyone who might be interested. 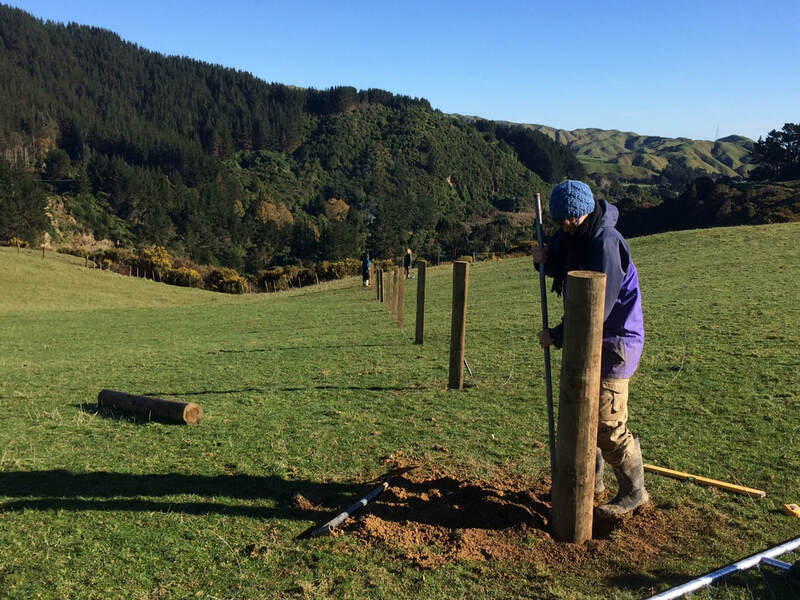 Our target is to raise around $5000 to build a predator free paddock. This will be a large enclosed area in which the bunnies, guinea pigs, flightless pigeons, and other small or injured animals can live in complete safety and freedom. This facility will make a significant difference to their quality of life, and allow them to be totally cage free. 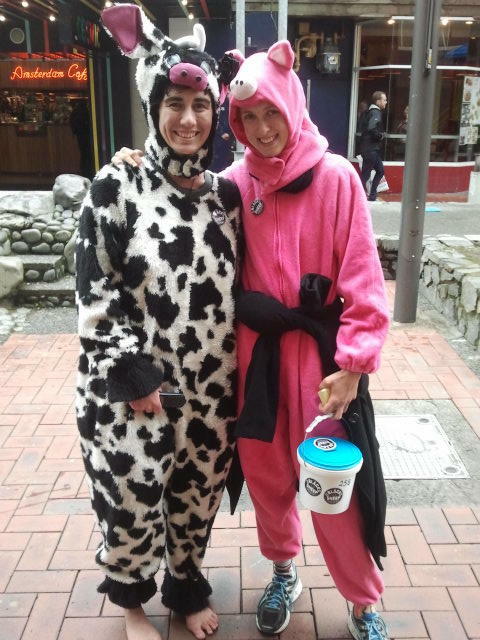 So please look out for our collectors in their cow, pig and chicken onesies on the streets of Wellington on Friday 21st December! You're warmly invited to our Open Day! 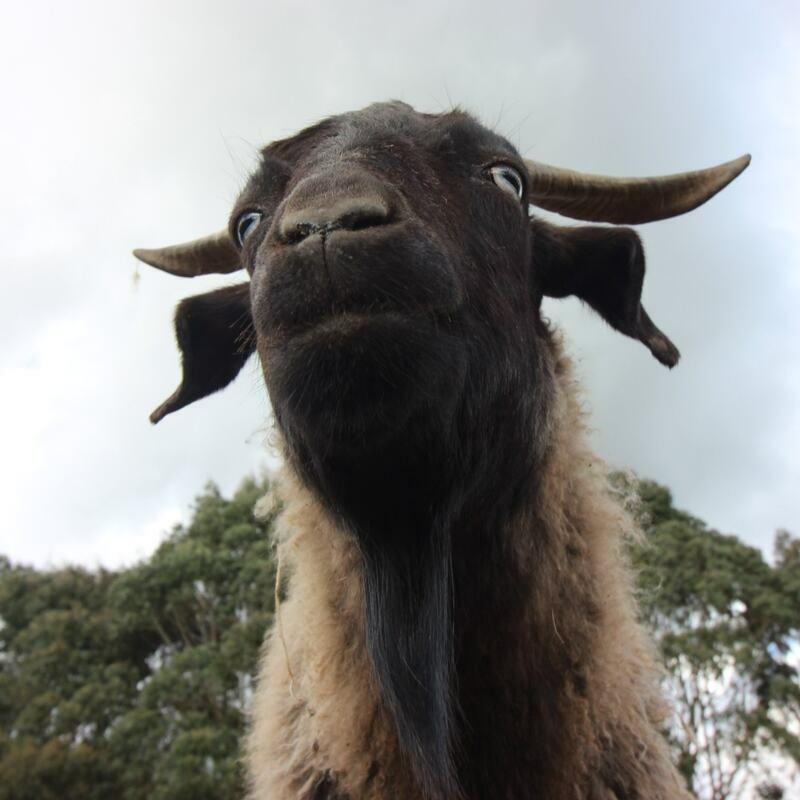 There will be a sanctuary tour at 2.30 pm, during which we'll tell the stories of our residents, such Sirius who was rescued as a bobby calf, and Roscoe, who escaped from a goat dairy farm as a tiny kid. These will be followed by a yummy vegan afternoon tea. Please bring strong footwear, sunblock, and clothing for all weathers. All welcome. Animal sponsors are warmly invited to attend, and children are welcome to come with you. Winter feed for furry friends in need! Can you help us fill hungry animal bellies this winter? This year hay has been hard to come by with little spring rain followed by a long hot summer. We have managed to buy in just half our hay supply, and desperately need your help to get all the animals through winter in great shape. Right now bales of hay retail for around $15 each, which is $5 more than last year. 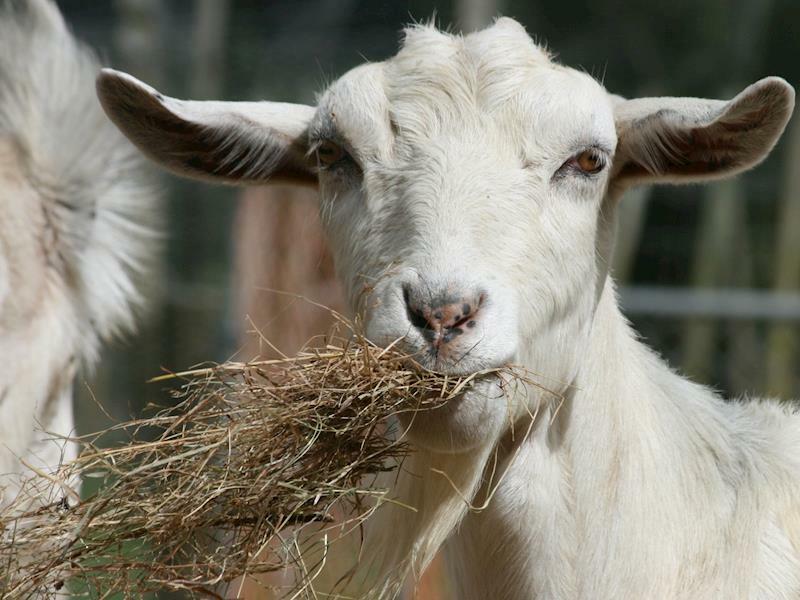 We are hoping you will help us raise $5,000 to buy hay, straw, grain and feed pellets. Every dollar helps! Thank you for your support. We couldn't do it without you! It's been a very busy autumn at the Black Sheep. We are happy to announce that our lambs Dobby, Enzo and Winky have found a new abode with a beautiful view and lots of fresh tasty grass. 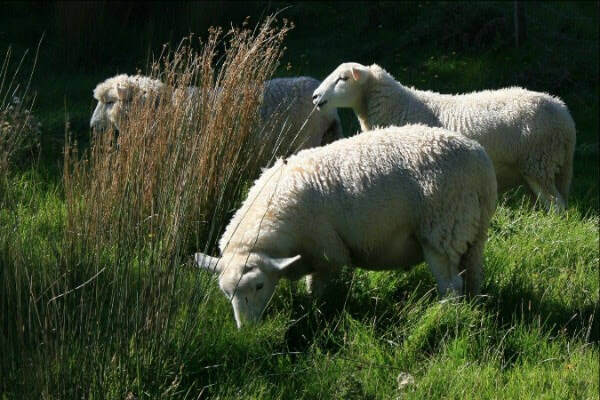 The three were rescued as tiny newborn lambs and grew up at the Black Sheep Animal Sanctuary. We will miss them but we are also delighted to re-home animals to such wonderful homes! Above you can see them exploring their new paddock. 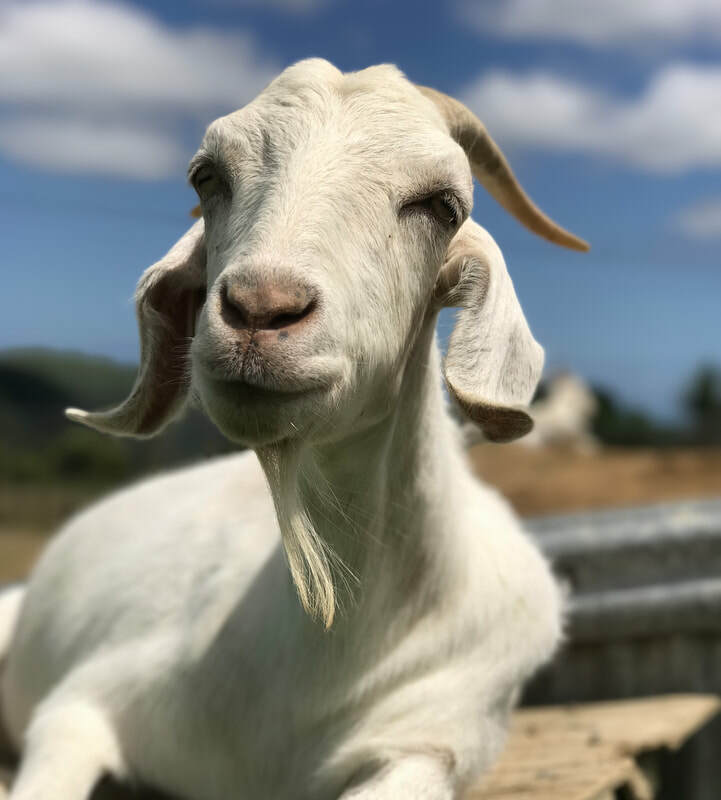 Do you know anyone who can offer our lovely young goat Vincent a safe loving space where he will have company, room to play, and will live out the term of his natural life? 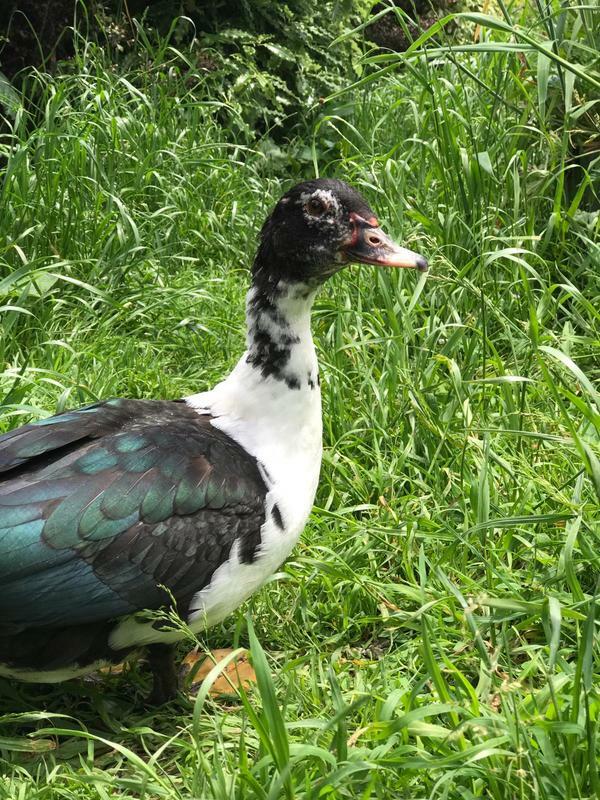 Any possible home will need to have secure fencing as Vincent is a great escape artist, and it will also need to be within two hours drive of Ōtaki so that we can visit during the adoption process. 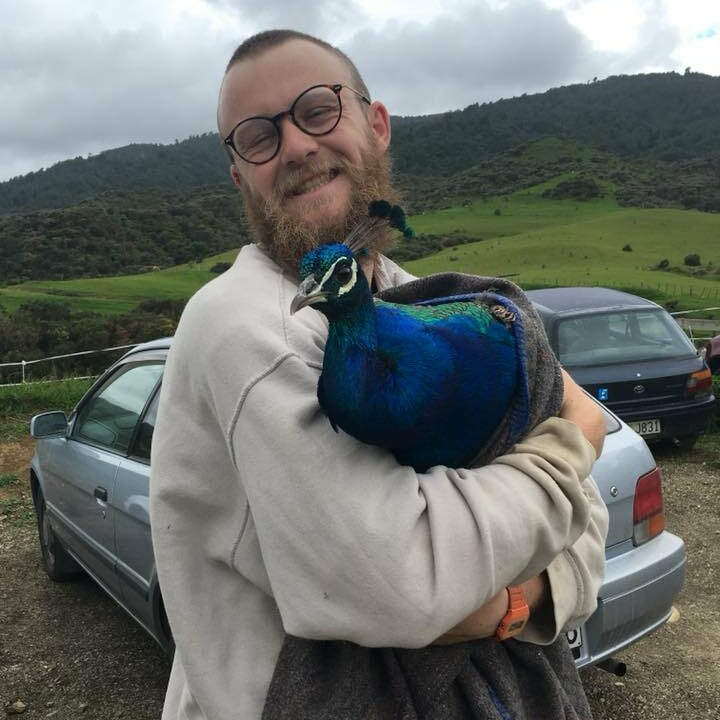 In late March we were approached with the news that an abandoned peacock urgently needed a new home, otherwise he risked being killed. After a few days we finally managed to catch the beautiful bird and take him to his new home, a predator-free bird paradise! He is now named Frank, and we are delighted that he is safe from harm. He was successfully released on April 6th at his new adopted home, where he has lots of land to roam and find shelter. Thank you so much to all our supporters that liked, shared and commented on his adoption post on Facebook. Without you we may not have found this beautiful peacock a forever home. I'm afraid we have some sad news. 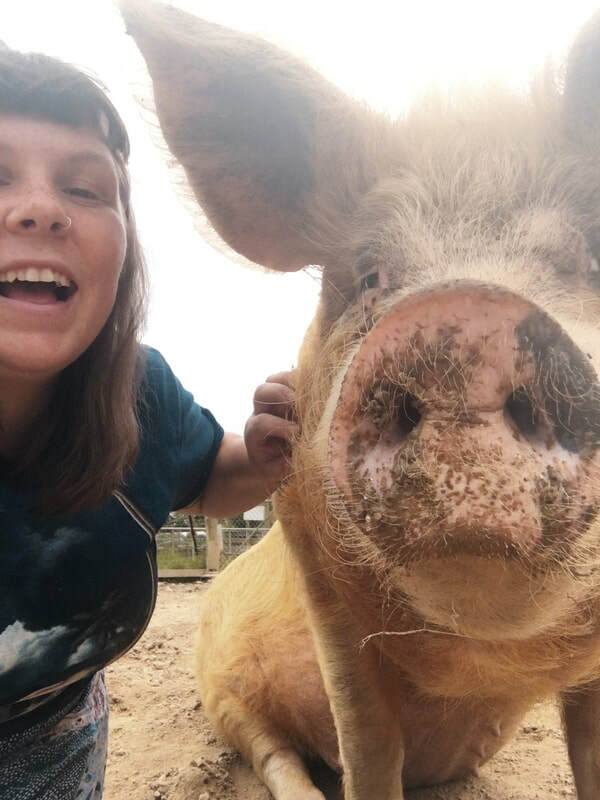 Our large white pig Horace had to be euthanised after developing chronic arthristis and an acute joint infection that the vets were unable to treat. 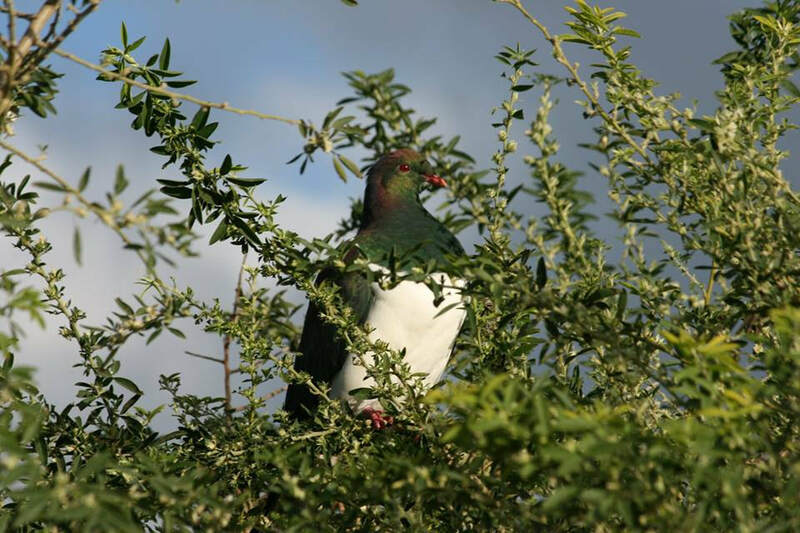 Horace was one of our earliest sanctuary residents. 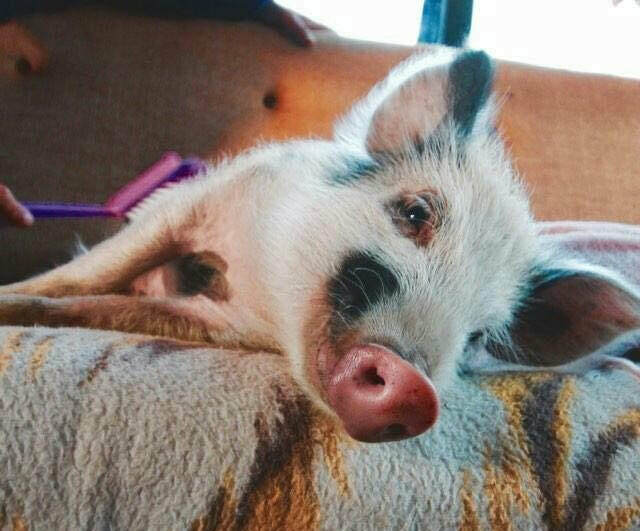 He was rescued as a tiny piglet from a factory farm, where he would have been slaughtered at a few months of age. Soon he grew enormous, but remained friendly, affectionate and playful. He loved attention from humans almost as much as he loved his food, and we miss him very much indeed. 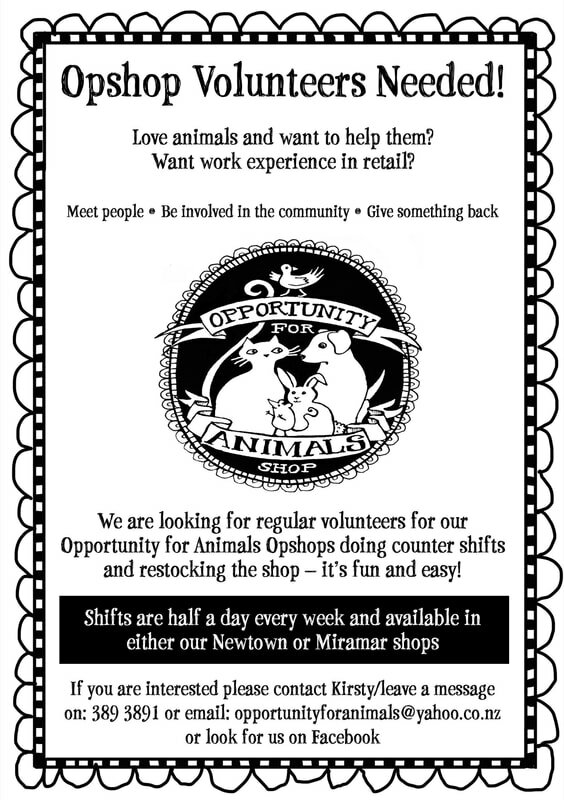 Our fundraising Opportunity for Animals op-shops are thriving, but we need more volunteers to join the team. Shifts are available in all three stores, Newtown, Miramar and Ōtaki. We need people who can commit to a half day shift each week for at least 3 months. 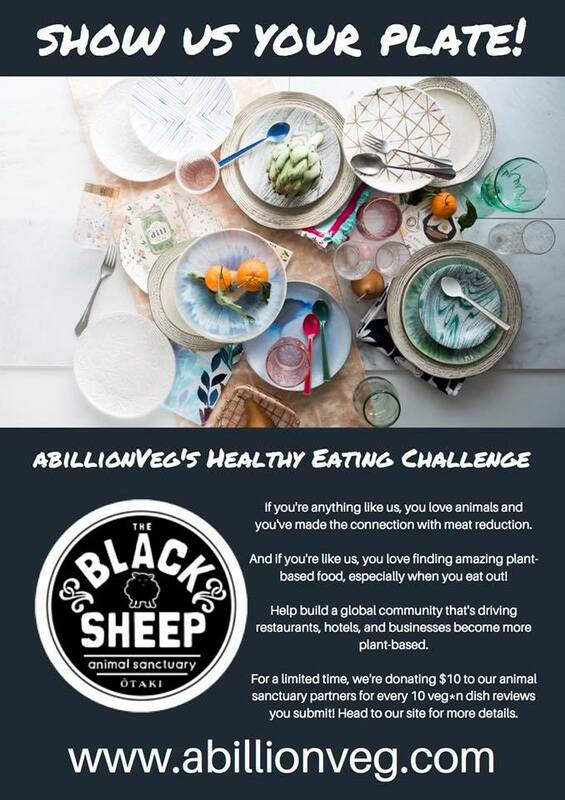 It is fun, easy and helps fundraise for animals! 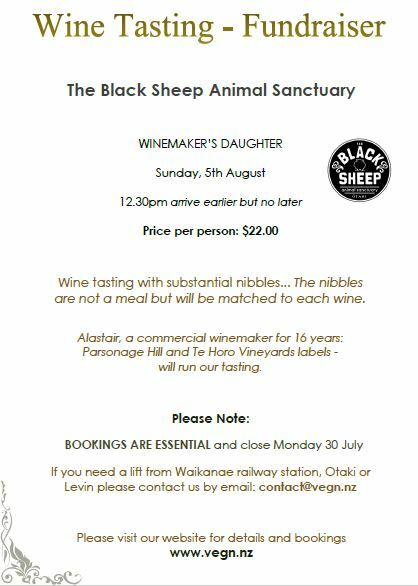 We're looking forward to the vegan Wine Tasting Fundraiser on August 5th at the Winemaker's Daughter in Te Horo. This will be a fundraiser for the Black Sheep - thank you so much to Alastair for organising this. Look out for us too at the next Vegan Vault market on 5 May, from 6 pm at 171 Victoria Street, Wellington. 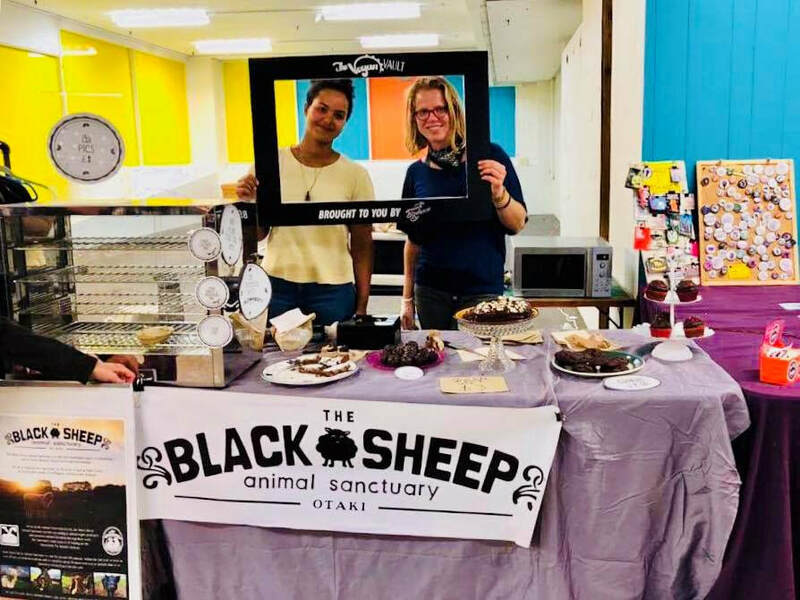 The Black Sheep Sanctuary Pantry will be selling pies, cakes and merchandise.